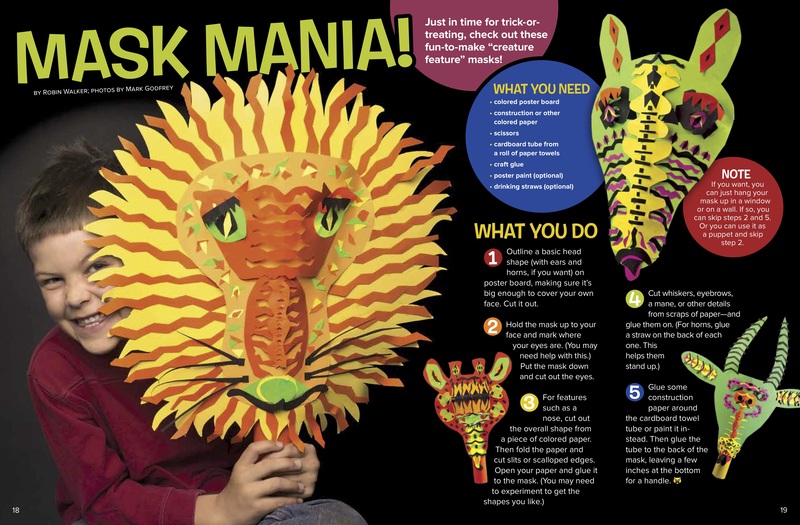 Check out these fun-to-make “creature-feature” masks! Outline a basic head shape (with ears and horns, if you want) on poster board, making sure it’s big enough to cover your own face. Cut it out. Hold the mask up to your face and mark where your eyes are. (You may need help with this.) Put the mask down and cut out the eyes. Flatten the tube and glue construction paper around it – or paint it instead. Then glue the tube to the back of the mask, leaving a few inches at the bottom for a handle.